Posted by AaronPorter in Higher Education, Tuition Fees. Today, it seems, there is barely a consultation paper or university strategy that does not refer to the importance of “student engagement”. But for all the talk, how effectively does the academy engage with students? Has it merely become adept at paying lip service to the idea? It is often observed that since the introduction of tuition fees, students increasingly have asked what they will get for their money. The Labour government’s response was to introduce numerous initiatives for student engagement, including student juries, a national forum and even a minister for students. The usefulness of each, however, was questionable – and all were axed by the coalition when it came to power. The emphasis on student engagement has grown for other reasons, too. One imperative has been the move from an elite to a mass higher education system and the consequent need for universities to involve students other than full-time, 18-21-year-old undergraduates. This has led to an important shift in activity by the National Union of Students. I know from my time as NUS president that its emphasis on student engagement – built on a sound evidence base – has played a considerable role in ensuring a credible and more mature student contribution to national debate. It has also supported students’ unions to do much the same at the institutional level. 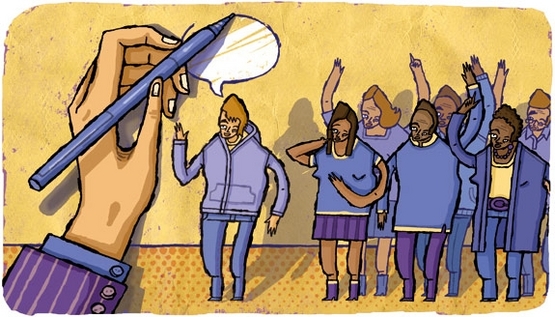 When universities are asked how they engage with students, they are quick to point to committees with student representation, and to students’ unions that have been consulted in their decision-making. But whether these structures genuinely reach beyond traditional full-time students is questionable. And for all the consultation that takes place, do students really have a greater influence than they did decades ago? I am not convinced. There has undoubtedly been progress, but it has been too slow and too constrained. Far too many universities are still content to have a handful of students on their committees and a staff-student liaison meeting once a month. Relying on committees does not cut the mustard. Often the students who attend these meetings have the time to do so because they do not need part-time jobs and don’t have caring responsibilities. How are part-time students or distance learners being involved? The overwhelming majority of student representatives are still drawn from a narrow pool. Nationally, the same accusations can be made. The political parties and the higher education sector waxed lyrical about the importance of student engagement when the groundwork was being laid to increase tuition fees. But there was more than a whiff of double standards when formal student representation was left off the terms of reference for the Browne Review. And while sector bodies such as the Quality Assurance Agency and the UK funding councils have made huge strides in recent years – many adding student members to their boards – the documents and reports they produce remain impenetrable to those who are not higher education policy experts. Will the changes being introduced next autumn really lead to a more “student-focused” higher education system? The answer here is perhaps the most dispiriting. I do not believe for one second that the title of the higher education White Paper means what it says – unless you think that being at the “heart of the system” means giving students a bit more information (not provided by the government, of course, but left to others) while demanding a hugely increased financial contribution from them. Universities must do more to open up their books and to involve students in decision-making and strategic planning. It is great to see that the University of Exeter has created a budget scrutiny committee jointly chaired by the university’s registrar and its Students’ Guild president. This committee will oversee where Exeter’s additional tuition-fee money will be spent. It actually grants real decision-making power to students, rather than giving them leave to offer views that may or may not be taken on board. After all, the only way we can make the reformed system work – and truly place students at the heart of the system – is if universities and students’ unions work together. The responsibility lies at the door of both organisations to ensure that students’ diverse voices are heard. Excuses to ignore them are wearing thin.